Introduction of IoT has transformed the way we live and has redefined the term “Luxury and Security”. Especially when it comes to securing your home from intruders, there are various options available in the market to pick the most reliable IoT based home security system. Monitored or self-monitored security system, extravagance and ultra-secure or affordable and safekeeping, you can choose a perfect home-security system based on your needs. If you are on a tight budget and is concerned about your home security, there are plenty of individual devices available in the market. This doesn’t mean that you have to compromise with the safety because of its availability at low cost. We have compiled a list of security system based on customer service experience, pricing & affordability and features & equipment offerings. 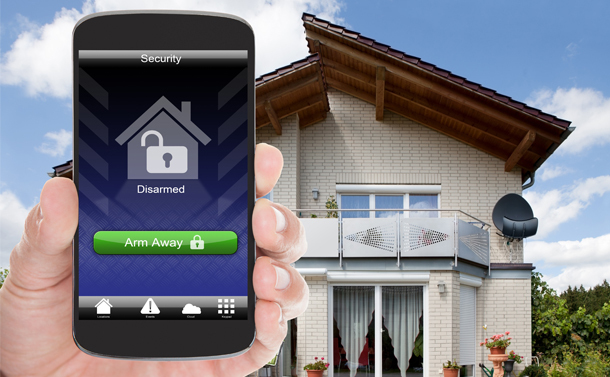 Here is the best home security system available in the market. Most of the low-end cameras will at least cost you 50$, while feature-rich options like Amazon and Logitech price starts with 100$. To your surprise, Wyzecam is a 20$ home monitoring camera that can fit at least five for the price of one Amazon Cloud Cam. This small white cube camera with a black eye camera in the front is a Chinese product, sold by Xiaomi. But this cheap, foreign gadget has a better software and 1080p video feeds that gives nice picture quality, when tapped into phone. The product is surprisingly good as it is equipped with 110-degree field of view as this swivels on a base. Coming to the specifications of this HD Wi-Fi camera, it is equipped with 720p resolution, 120-degree field of view and has up to 128GB local storage. It is available at the price of 70$ with no subscription fees and ultimately becomes the best security camera in budget. However, the system is potentially difficult to setup and doesn’t have two-way audio. To make up for it, the camera has built-in signal finder that aids you to find the perfect place to set up the camera. Further, the camera notifies you of the event and records automatically whenever it senses any motion. The product doesn’t come with any monthly subscriptions and provides all the features right after the purchase. Also, the app for the setup is available both on Apple and Android devices and for some selected Windows mobile devices. With an outstanding history of customer satisfaction and superior services, Frontpoint is a hassle-free, upfront home security system. Low-pressure sales approach to buy and upgrade equipment and 24*7 customer service availability makes Frontpoint camera different from others. Also, it is affordable as the monthly monitoring costs between $35 and $50 per month, depending on the features you select. Talking about the features, it comes with variety of packages. From simple monitoring doors and window sensors to complete home security cameras and video monitoring, it has everything depending upon your budget and need. The perfect amalgamation of home automation and technology, Vivint can connect everything under one roof using your smartphone. It also offers a flexible financing options with no contracts and no extra monthly cost. Up-to-date and easy to use technology with energy efficient equipment makes Vivint better from others. It offers cellular monitoring with two-way voice communication services. However, the aggressive sales practice and no DIY installation option makes it a poor choice among the customers. To cover these drawbacks, it comes with free professional installation i.e. $99 fee for outdoor camera and $29 for doorbell camera. It is one of the best home security system available in the market that doesn’t come in contract basis. Favorite among renters, it caters to families on budget because of low monthly monitoring cost. SimpliSafe provides low-cost cellular monitoring services ranging from $15 to $25 per month depending on whether you want mobile access. Further, it is easy to install and relocate, and is more about functional rather than fashionable kind of system. However, the system doesn’t have home automation options and has outdated equipment designs. Just like old-schools, it doesn’t even use a control panel. Instead, it has a central hub and tactile keypad. Though market is occupied with varieties of home security system but you can also opt for DIY systems. Using some efficient and budget-friendly gadgets, you can make your own Home security systems. However, these are some of the most affordable home security cameras and system available now, if you have anything to add-on, comment in the section below.